A classic cigar tobacco flavour with soothing notes of vanilla, brown sugar and honey. The intense essence of wood-smoked Columbian tobacco provides a robust flavour base, while the sweet notes of golden luxury and spice bring Cubano Silver into a new dimension of flavour. 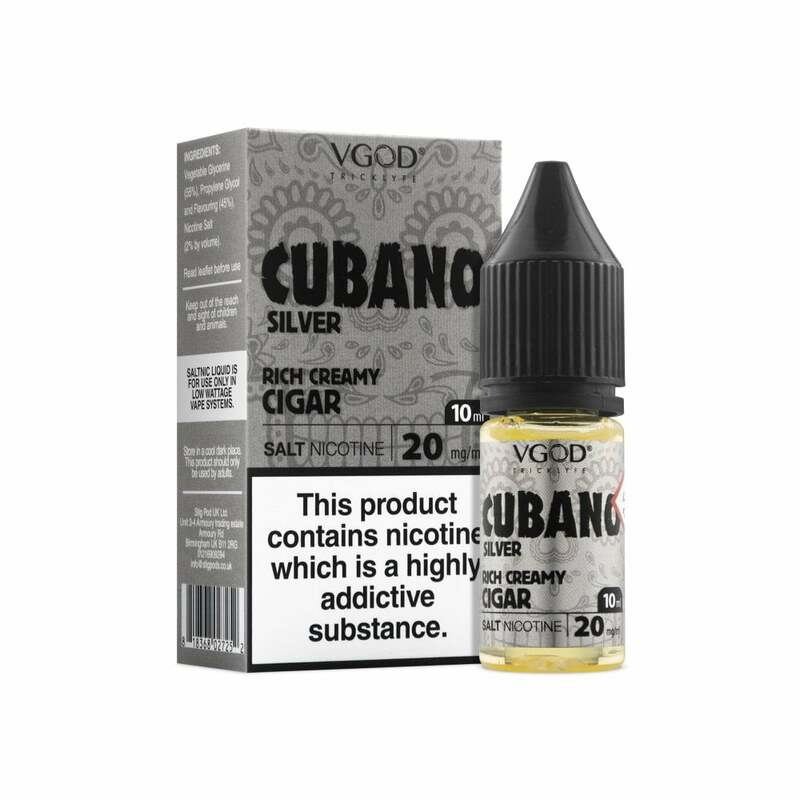 VGOD Cubano Silver nicotine salt e-liquid comes in a 10ml bottle and is blended with a 55% VG, 45% PG for a cloudy yet flavourful vape. Nicotine salts provide a fast-acting and powerful nicotine hit, similar in sensation to smoking a cigarette.